– collectors and fashionistas who specialize in trainers – has also given rise to a new phenomenon, custom shoes. 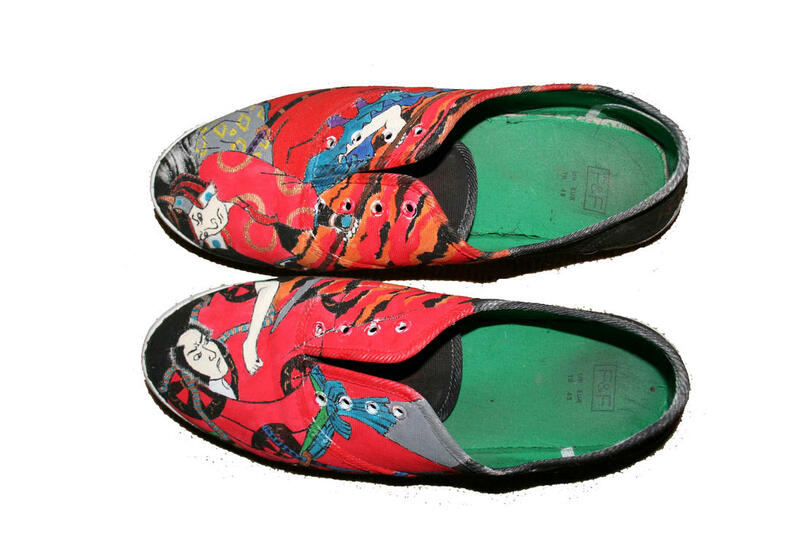 These are trainers, pumps or other suitable types of footwear that are hand-painted or drawn with unique designs. Graphic artists, designers and illustrators are able to let their creativity and imagination run riot across the sneakers, whilst at the same time responding to the limitations of the shapes and confines of the available surface on which to apply their designs. 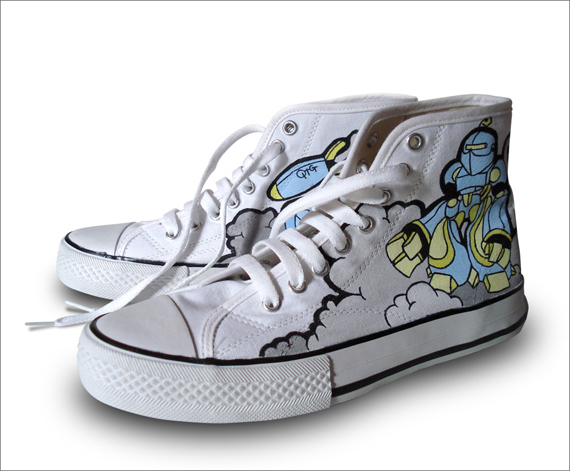 Popular custom shoe design references include sneaker-related subcultures such as hip-hop, comic books, music, TV, film, skateboarding and basketball. Elsewhere artists use their own individual styles and subject matter to produce unique custom shoes, or create personalized shoes for other sneaker-heads according to individual requirements. There are many web-based custom shoe outlets who make one-off designs to order, along with many designers and artists who share their creations on the internet. 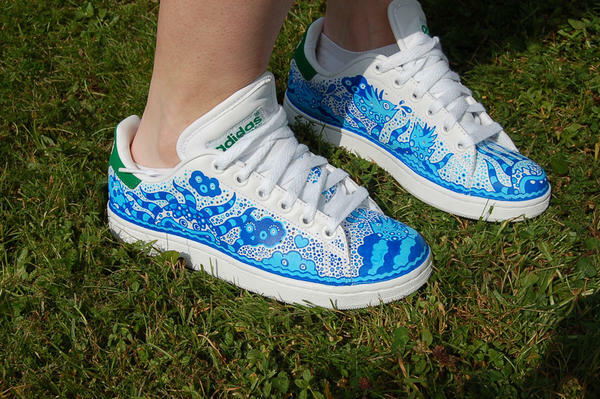 This post brings together 19 examples of awesome custom shoes, designs that could inspire you to pick up a pen and have a go at decorating your own sneakers. 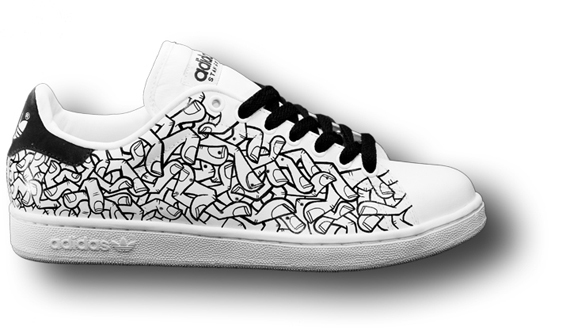 This cool and clean design is from Swedish custom shoe specialists Look Down. The black and white drawing, applied to a pair of white Adidas Stan Smiths, is so crisply applied it is hard to tell that it is a handmade customisation. 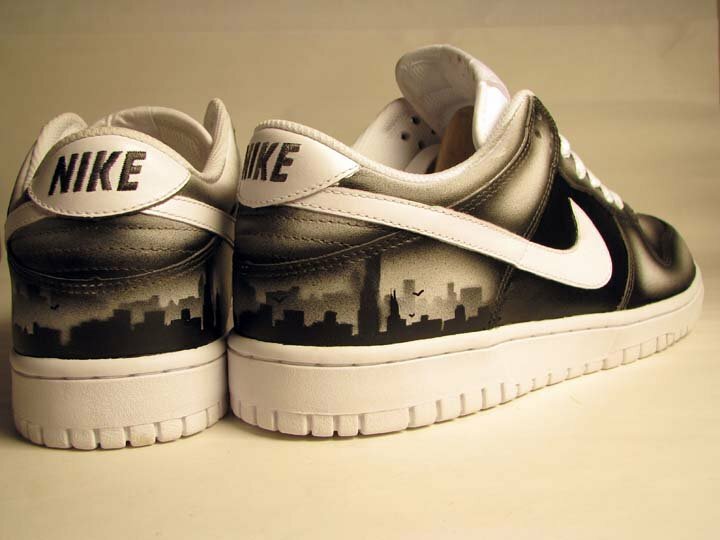 DJ, t-shirt designer and custom kick artist St!zo created this custom shoe design – the Nikes are decorated with the hazy skyline of his home city, Chicago. 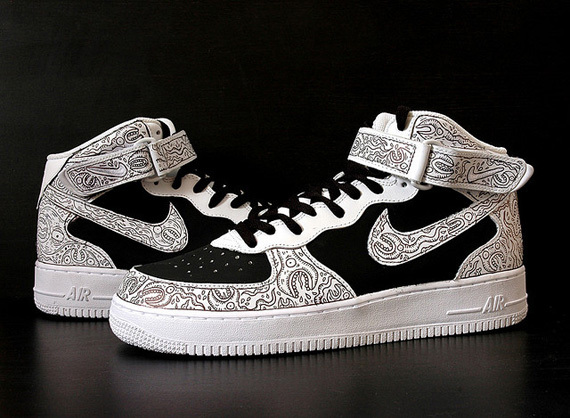 A fantastic pair of customised Nike Air sneakers, decorated in intricately detailed monochrome by French artist SWKAK for custom clothing outlet A Better Tomorrow. UK artist Felix Green created these charming examples of hand-painted sneaker art. 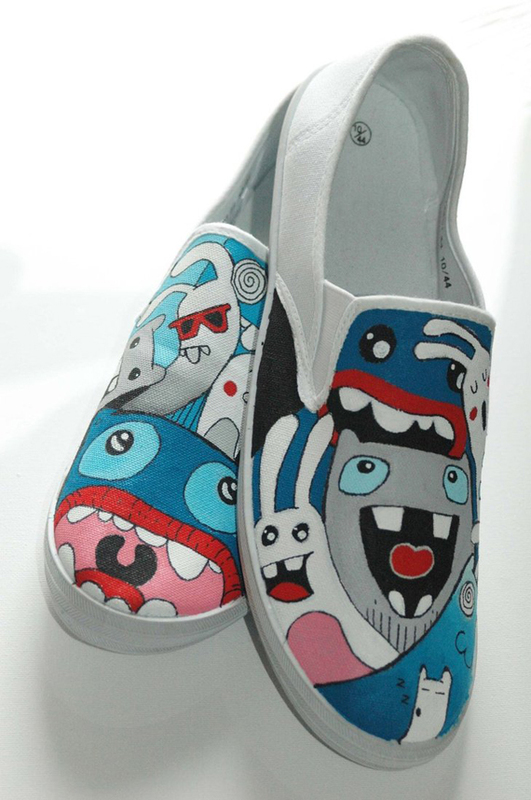 South African graphic artist Abe Viljoen hand-painted these beautiful custom sneakers. Brest-based artist, designer, illustrator and self-confessed toy addict Marion Tanguy, AKA Tan-Ki, created these aqua-themed Adidas sneakers. UK artisan maker Neko Crafts made these jazzy, music-themed, size 12 sneakers. Sole Brothers paint sneakers according to customer’s specifications to create unique personalised footwear. 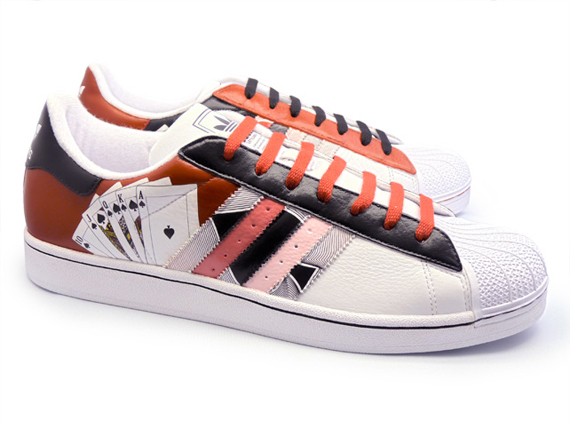 This pair of Adidas was customised for a card player competing at the World Series of Poker in Las Vegas. The design features a stylish black and red colour scheme and a royal flush in all four card suits, one on each side of the sneakers. A simple blue, black and white colour scheme, manga style characters and a crisp finish give these custom sneakers by US artist Mira Kajihiko a very fine aesthetic. 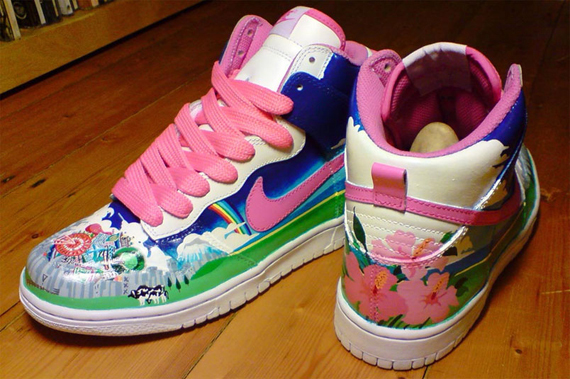 These colourful and cute customised Nike Dunks feature a paint job themed on Japanese video game Katamari Damacy. 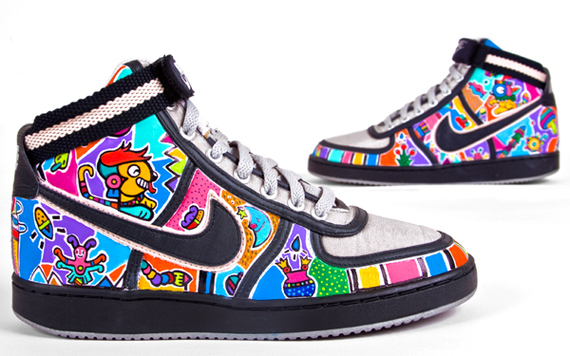 Mexican design brand Tixinda created these candy-coloured customised Nike sneakers. Tixinda is a collaborative team featuring designers Anabel Vanoni and Eric Morales. 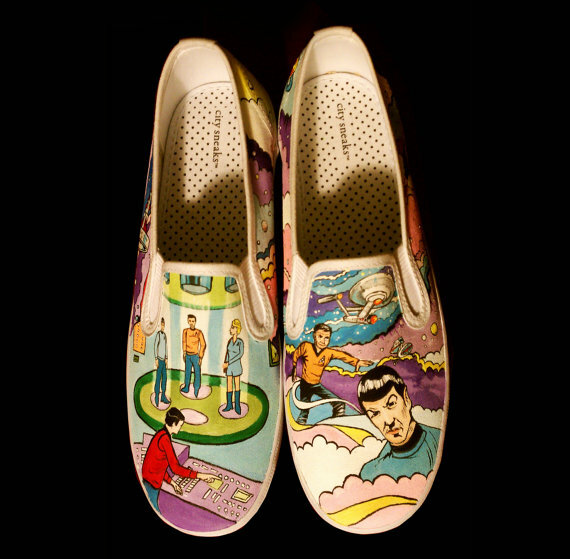 These hand-painted sneakers are the ultimate footwear for Trekkies – the original cast of Star Trek have been lovingly recreated in cool retro-style graphics. These brilliantly customised sneakers take their design cue from traditional Japanese woodblock prints with a pair of samurai warriors. 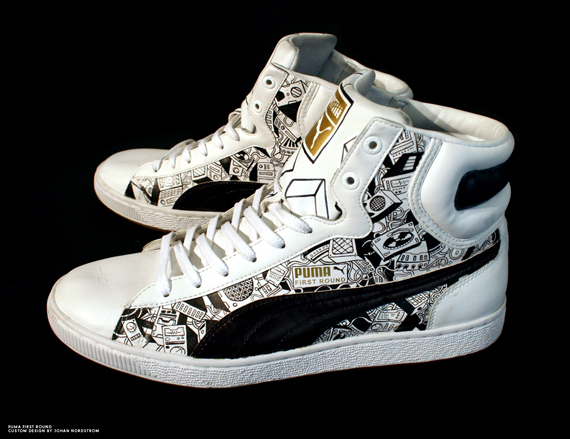 Swedish graphic designer Johan Nordstrom took a pair of Puma First Round and created this awesome pair of customised sneakers, covering them in detailed illustrations of record decks, speakers and a variety of other hi-fi equipment. This pair of cool customised Vans sneakers give the wearer a pair of rotten zombified feet. 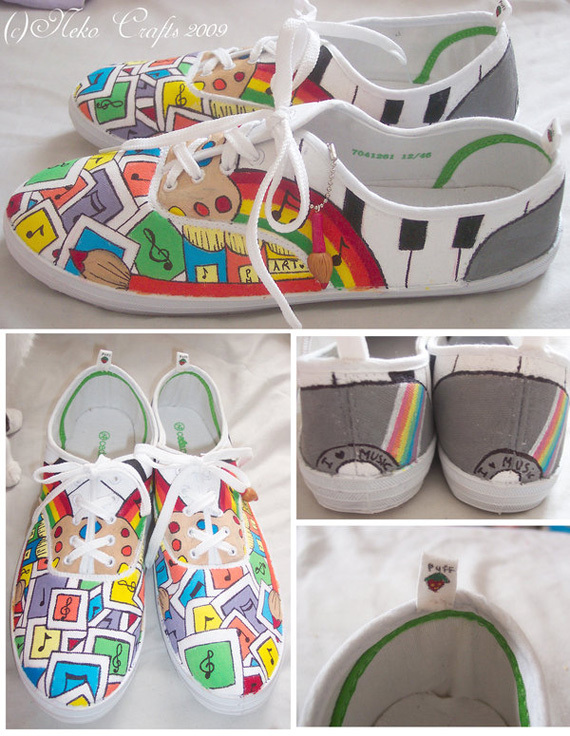 Brooklyn-based visual artist Michael Burk created the hand-painted design, one of many that he has produced and supplied through his Choose Your Shoes website (http://www.chooseyourshoes.net/). Burk takes orders from customers and paints unique, never-to-be-repeated sneaker creations. 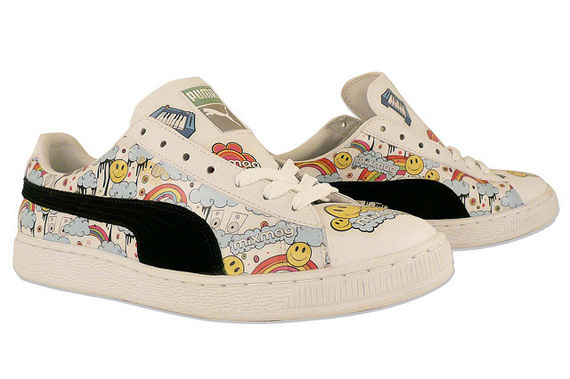 These colourful and funky customised Puma kicks were made by Sneakart for Mixmag, the iconic dance music and club culture magazine. 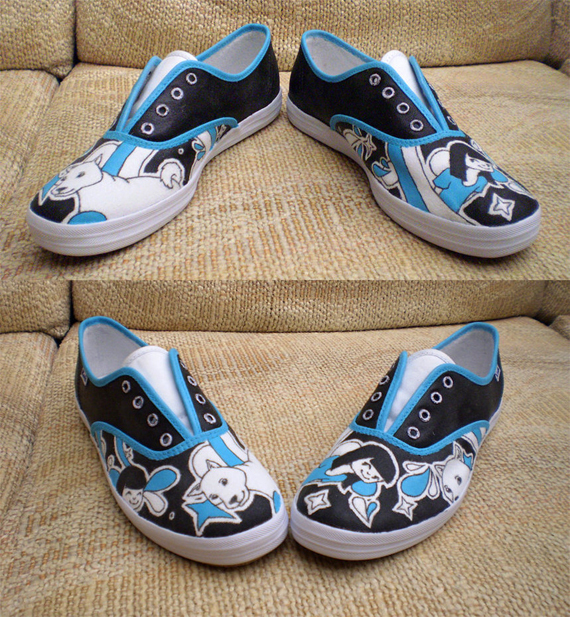 If you feel inspired, grab some pens or fabric paints and a brush and start customising your own shoes. 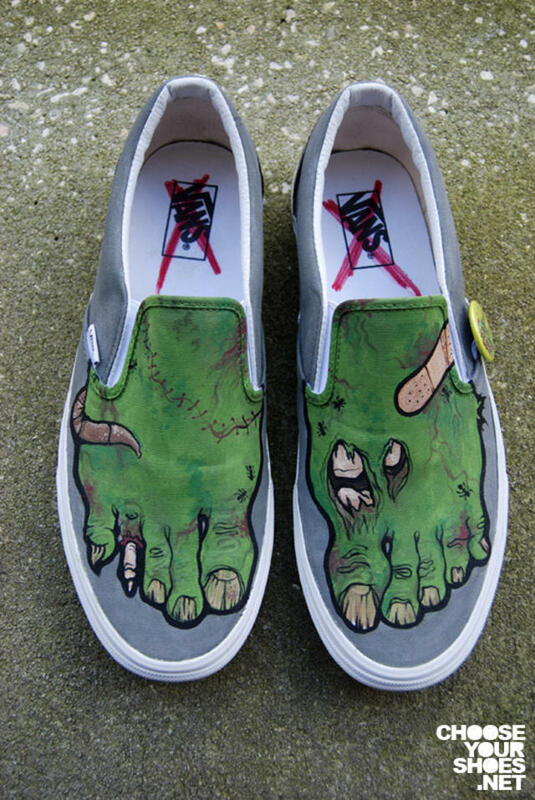 There is a wealth of artists and designers sharing their custom shoe creations on the internet on sites such as deviantART, Flickr and Behance, and if you don’t possess the skills yourself many will customise shoes to order. If you do start creating your own custom shoes you will be joining a worldwide community of sneakerheads – happy painting!